Climb the Tower and get reductions! 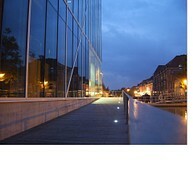 Mechelen has something for everyone and everything is within easy reach of everything else. In the historic centre you’ll find fascinating museums, scores of historic buildings and delightful squares. 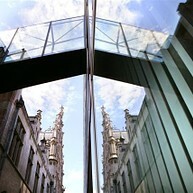 Below is a list of Mechelen’s top 15 sights. Don’t miss a single one! History and architecture enthusiasts will feel at home in Mechelen straightaway, particularly when it comes to viewing the palaces of Margaret of York and Margaret of Austria! The residence of the regent Margaret of Austria, the Court of Savoy, was the first renaissance building in the Low Countries. The picturesque garden is a wonderfully peaceful place. On the other side of the street is what remains of the Palace of Margaret of York. The people of Mechelen love to stroll through their city and what could be more relaxing than a waterside walk that leads right through the centre! Walk along the floating part of the Dyle path between Haverwerf and the Botanical Garden. Or alongside the Melaan. This brook had been filled in but was recently uncovered again. 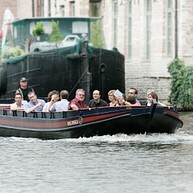 For a whole new take on the city centre, opt for a boat ride from Haverwerf through the marina and the sluice dock. Look out for the Vismarkt (Fish Market), the Grootbrug (Large Bridge), the Botanical Garden and the Volmolen or Fuller’s Mill. You’ll see how the people of Mechelen live in historic waterside buildings: imagine how wonderful it must be to have a house overlooking the Dyle. 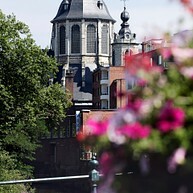 Mechelen has churches galore and each contains a profusion of religious treasures. There are no fewer than eight historical churches in the city centre, each well worth a visit! The coloured light which filters through the stained-glass windows and the serene atmosphere which pervades the buildings make a visit a very special experience. The churches also contain works of art, including famous paintings by Rubens and Van Dyck. The latter provided St Rumbold’s Cathedral with a veritable masterpiece: the ‘Crucifixion of Christ’. If you’d like to see something of authentic Mechelen, do as the Mechelaars do and soak up the atmosphere around Lamot brewery. The old brewery was converted into an ultramodern conference and heritage centre and is a wonderful example of how our industrial heritage can be put to new use. For Mechelen’s trendiest spots, head for the convivial Vismarkt - or Fish Market - on the other side of the Dyle. When the sun’s out, it’s a great place to enjoy it. The world-famous De Wit Royal Manufacturers of Tapestry is an absolute ‘must’. For four generations antique tapestries have been cleaned and conserved here using state-of-the-art technology. On Saturday mornings visitors can take a look inside the workshop and watch a weaving demonstration. 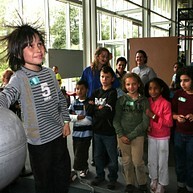 The Toy Museum houses one of the largest collections of toys in Europe. You’ll find toys from all over the world, old and new. Children are amazed at the toys their grandparents used to play with and for adults they bring nostalgic memories of childhood flooding back. 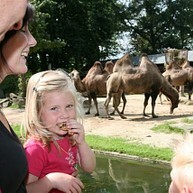 If you want to get out of the city for a while, head for Planckendael, where you can admire exotic animals, follow a trail that leads across suspension bridges and through the treetops. In the 40-hectare park there is more than enough space for animals to frolic, children to play and adults to stroll. The modern-day town hall is actually two buildings: Cloth Hall with its unfinished belfry (recognized by UNESCO) and the Palace of the Great Council. But in fact Mechelen has three town halls: the old Schepenhuis or Aldermen’s House, Huis Den Beyaert and the modern-day town hall. Then there is the Huis van de Mechelaar, the brand-new administrative centre.